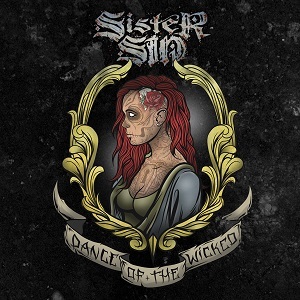 Dance of the wicked is the debut album from Swedish metal band Sister Sin and was originally released ten years ago. It's long been out of print, so Victory records are now giving fans a chance to hear the album by re-releasing it. Rather than just being a straight re-release though, this edition comes with some bonus stuff. For a start there are three demo songs, a Motorhead cover featuring Doro, and a bonus DVD. The album includes a cover version of the Rolling Stones hit 'Paint it black', so with the Motorhead cover that's 2 cover versions. The other ten tracks though are original sister sin songs and damn they sound good. These really are some great songs, and fans of the band who havent got this album yet are going to need to add this to their collection. The Motorhead cover (Rock'n'Roll) features guest vocals from Doro Pesch, and sounds great - I'm really pleased that Victory have included this with the album as along with the demos it really does add a lot of extra value to the album. The sound quality is very good and doesn't feel dated at all. You get just as much power and energy as you do in the latest Sister Sin album. I'll certainly be buying a copy of this album and recommend that all Sister Sin fans do the same.